It was a great unit with functioning Air Conditioning and WiFi. The one negative comment I have is that the dryer did not work. Otherwise, it was a great unit. I was not aware, I will send the tech immediately to clean the dryer lint trap, that will fix the problem. 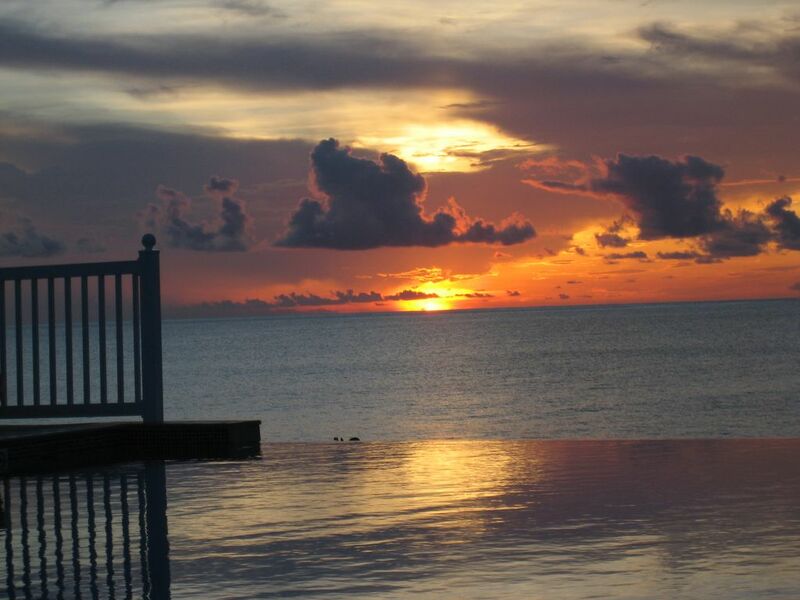 Glad you enjoyed your stay, looking forward to your next visit to our Island Home away from Home! Getting to this paradise was an adventure in itself! We took a single-engine 23ft walkaround from Miami to Bimini. Our engine broke down before we embarked (thank God) so we were a little late getting out there. The waves were about 4-6 ft high, so it took us about 5 1/2 hours to get to the island. By the time we arrived we were all soaked and it was almost dark. Everyone at the resort was so helpful at getting us to the right place. The property itself is a little confusing at first, but everybody was awesome. The condo was amazing and fit all 6 of us perfectly. Dan was an especially gracious host who will send you any and every resource needed to enjoy the island. He told us the best places to eat, best attractions, best way to get around, etc. Dan's property manager, Nathan, was also an amazing resource (and he makes the BEST bread!). Overall, this entire trip was definitely an adventure to remember. We will be back! John & Charisse were amazing guests, they were very organized & great communicators! They graciously shared their photos with us and enjoyed themselves thoroughly, warming my heart :-). I look forward to hosting this wonderful, intrepid family on their next adventure to our Island Home Away from Home, the Runkle's are always welcome!! Wow! This was a great trip for our family. Everyone on the whole island was so helpful and gracious. This villa was in excellent condition and provided everything we needed and more. Dan, the owner, is so nice, thoughtful and very pleasant to work with. As David, the dock hand at the marina says, "Dan is really a great guy and very professional". We couldn't agree more and things could not have been better us. He went beyond all expectations to make sure we arrived without issue and had everything we needed. He even texted us the next morning to make sure. The villa has great ocean views and close proximity to the pools, casino, restaurants and shops. The security officers were very nice and we felt very safe across the entire island. We couldn't get over how nice everyone on the island was and they really made us feel welcome and seemed to appreciate that we were there. My wife and I, with our two young daughters, boated over from Port Everglades with calm seas. We trailered our boat down from NC and left out of Harbour Towne Marina. We had an awesome time exploring the area islands snorkeling, fishing, swimming with the stingrays and nurse sharks. The water was a pretty as I have seen and we loved it! I highly recommend Dan, this villa and Bimini Bay overall. We had a trip of our lives. Thanks for a wonderful trip... We will definitely be back and look forward to doing it again! Terrific unit, well appointed, walk to everything. Dan has the unit ready for you, just bring your clothes. He is a very gracious and accommodating host. The unit is very comfortable and within walking distance. Thank you very much, It was truly a pleasure to host you in my Island Home Away from Home. I look forward to working together with you again in the future and to having you Enjoy your Bimini Bay Resort more. We had been planning this trip for almost a year. Wanted a nice place with a marina slip for our jet skis. Dan was amazing, he went above and beyond any host I've ever stayed with. The condo was extremely clean and inviting and had all the amenities we could've asked for. He also gave us a lot of great advice for things to do and places to see while on our first trip on the island. The slip was perfect as well. Once we got to the island we were tired and wanted to get into the unit and docked so we could rest. Dan had everything set up so well with the resort that everything was extremely smooth. We already miss being in Bimini and cant wait to go back next year and stay in Dans condo. Couldn't be happier with our experience. If I were you make the choice of staying at Dans condo. The pricing is better than anybodies we spoke to there and the place was just like home. Take my advice from a well versed traveler. My housekeeper said that the unit was left better than when you got there! !